There are many different types of forensic specialists or forensic experts. Simply put, forensics is the scientific analysis of evidence for the purposes of a court case. Therefore, any expert who analyzes, evaluates, or enhances evidence may be regarded or designated as a forensic expert within his specific field or discipline. 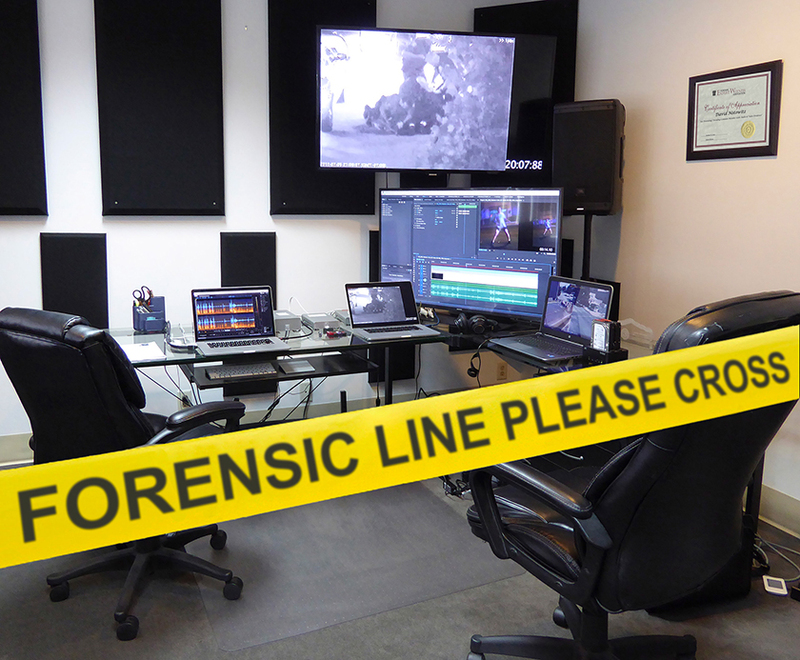 A forensic video expert will analyze video evidence, clarify and prepare the evidence for court, prepare reports, and testify as an expert witness if necessary. A forensic audio expert is tasked with the analysis and enhancement of any evidence that is audio in nature. An audio expert may prepare a transcript of what he hears. The purpose of the analysis may be to analyze for litigation, or it may be to prepare the evidence for use in deposition. It is also often the case that a video will have audio attached to it. As such, a forensics expert in both audio and video can analyze and evaluate the evidence to determine what is the best use for the case.